Angelina Ballerina is a fictional mouse character from a book series written by Katharine Holabird and illustrated by Helen Craig. Her character has also been brought to life in animated form for TV. You can dress like Angelina for fancy dress or Halloween by following our suggested steps. 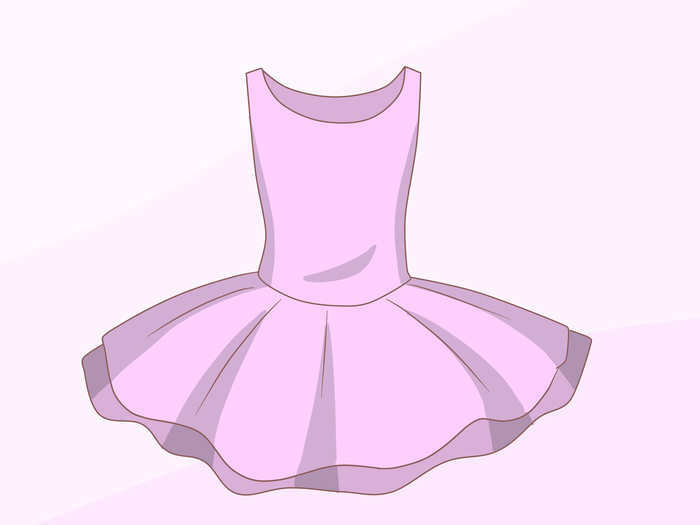 Buy a pink ballet tutu. Tie a pink hair ribbon in your hair. 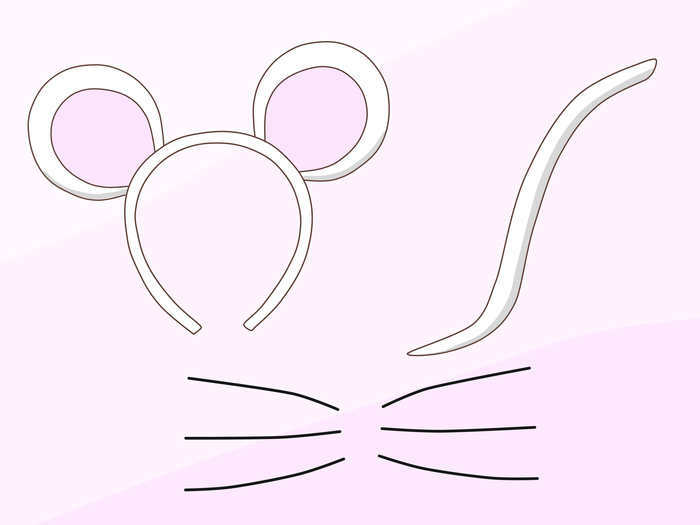 This is a trademark hair accessory for Angelina Ballerina. 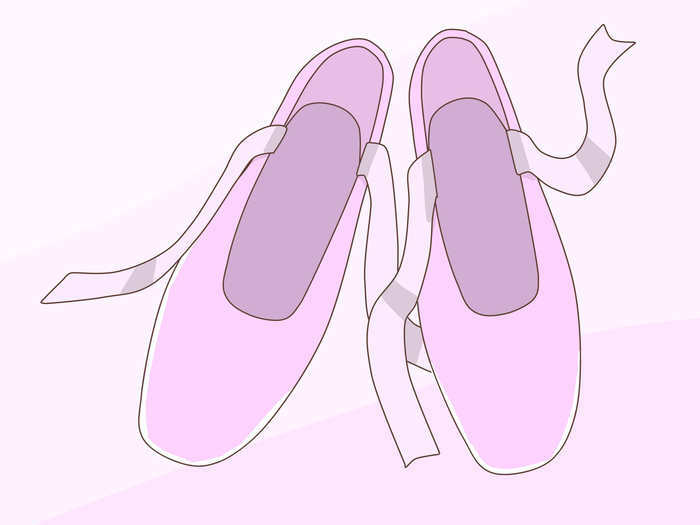 Buy a pair of pink ballet slippers. These can be real ballet slippers if you aren't walking too far or wearing them outdoors for a long time. If you are walking in them a lot, ask for ballet shoes suitable for street wear. Numerous shoe manufacturers make such a style of shoe, with ribbon ties included. Keep the color theme simple. 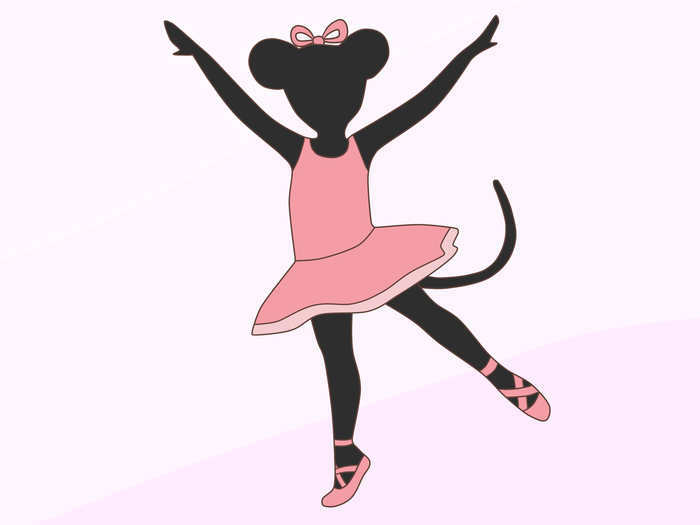 Depictions of Angelina Ballerina tend to show her wearing all one color with few variations (see the image in the introduction). To mimic this style, it is helpful to keep your color theme to one color in varying shades. Make ears from white paper, cut straws, tape them to your mouse ears, color in and attach to an Alice band. Make a tail from white fabric stapled, taped, or glued securely on cardboard cut to look like a tail. Make whiskers from thin black wire or black pipe cleaners. It can be helpful to look at images of Angelina Ballerina when you are recreating the look. Use the internet, the Angelina Ballerina illustrations in books or the animated show to help you evolve your ideas.